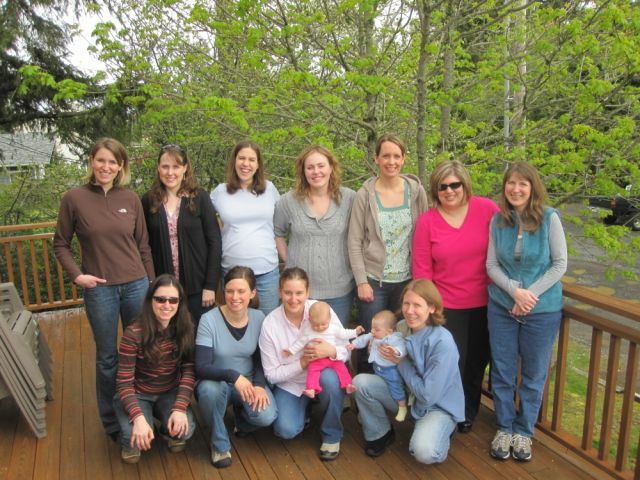 In a week we will celebrate Mother’s Day by thanking our mothers and our grandmothers while those of us with children will revel in gifts, brunch, sappy cards or, in my case, getting out of town with 13 of my dearest mom friends to spend two nights NOT being moms. But, in all honesty, what each mom REALLY wants is not a gift, brunch or sappy card and maybe not even a weekend away from husbands and kids. They want to know and hear from those they love most that they are appreciated. But what about the other women in your life that may not be your biological or legal mother or grandmother? Are there women who have stepped into that role when you needed nurturing and motherly love when your real mother was unavailable at the time? Perhaps you witnessed someone take on that job in the life of your own child, spouse or friend. No matter the person, no matter the length of time they filled that mothering need, they were like a mother and should be celebrated on this Mother’s Day, as well. Those are the women, those are the STORIES I want to share this week. M2M is open every day this week for your unfiltered, unorthodox tributes to any and every mentor, sister, mother or grandmother that has been significant in your life or for someone you love. For a featured tribute, please contact me at wynterkaiser@gmail.com and I will give you a whole day’s post to announce your appreciation to them. Or, if you’d rather, please feel free to comment, like, tag, share, etc. your tribute to her here and in each day’s feature tribute as well. Let’s show these often unacknowledged women just how much they mean to us this Mother’s Day! To the aforementioned group of women that I will be celebrating Mother’s Day getaway weekend with. My “sisterhood,” as we call ourselves. 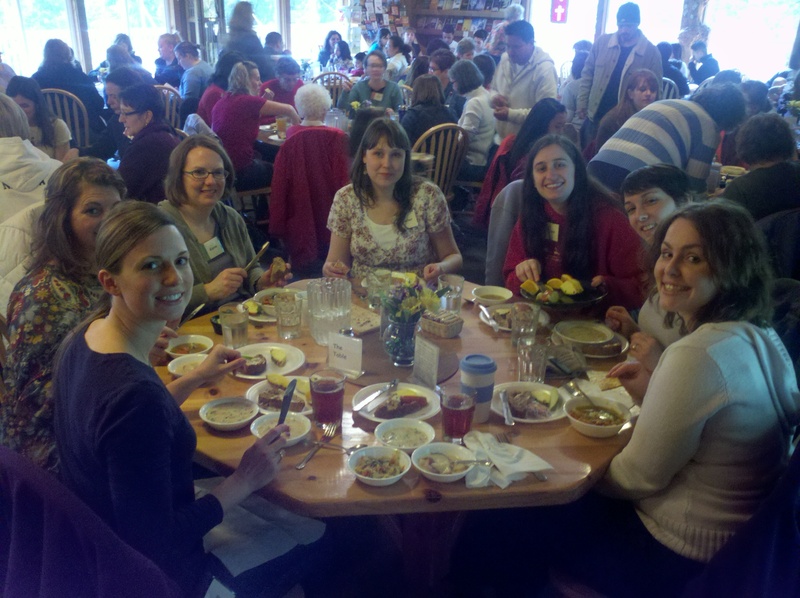 Rachel, Hannah, Katie, Lana, Lina, Jessi, Jill, Jenn, Michelle, Suzi, Molly, Megan, Margaret, Carolyn and our newly inducted members, Beth and Lisa. Six years ago I was a new, stay-at-home mother with few friends and a lot of time to kill during the day. Don’t get me wrong, I LOVED spending time with my baby girl. She was my everything and we did lots of fun things together in and outside the home. But there was something special about having a group of women who also had young children at home to meet with once a week, even if it was only for two hours of coffee, snack and idle, superficial conversation. After awhile, those barely-acquaintance relationships grew stronger and deeper, more open, authentic and raw. 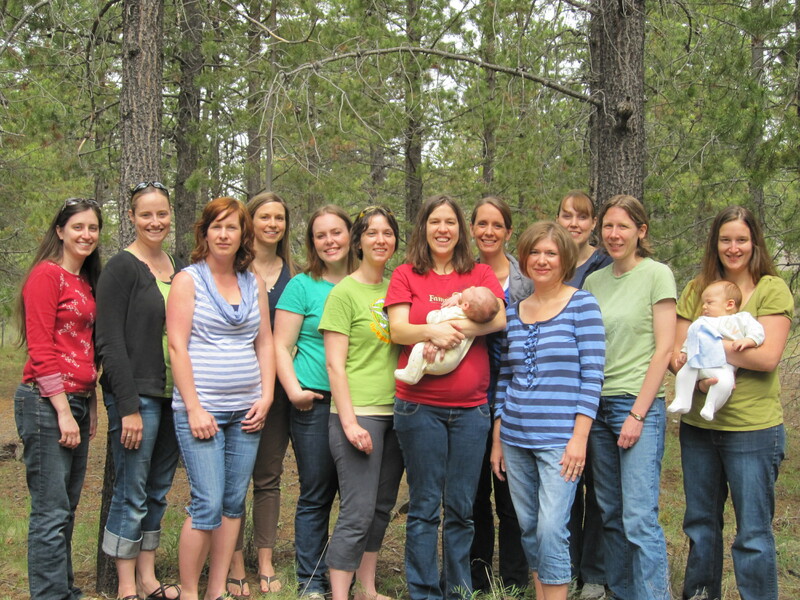 Over the years, some of these women have moved away from our area, some have experienced big, heart-wrenching changes and losses, but all of that has only bonded us tighter together until this group of women, our “sisterhood,” has become nothing short of my lifeline as a stay-at-home mom. We made it a point, four years ago, to take an annual trip together and while not all of us can make it each year, our friendships remain firm and we have been blessed to add new friends who sweeten our sisterhood all the more. Of course, it has taken time to feel like I know each of these women well and I am always surprised at the new things I learn when I get one-on-one time with each of them, but I can honestly say that if I were plopped into a room with just one, any one, of them, we would have plenty to talk, laugh and cry about! So, thank you, sisters, my dear friends. I cherish each one of you so much and am so thankful to be a part of such a fantastic group of women. I don’t know where my life would be today if I didn’t have each of you in it. What we have is special, rare and I pray that it continues for many, many more years to come! Do you have a special, “sisterhood” group of women or even just one or two close girlfriends that you rely on like this in your life and whom you would like to pay tribute to this Mother’s Day? I would love to hear about them! Please feel free to give them a shout out in the comments below and of course be sure to like, share and tag them in this post so they will see it! And stay tuned, tomorrow I will post another Motherhood Vignette Tribute! What a beautiful plan. I’m just now learning how important it is to be surrounded by a “sisterhood” — blessings on you and yours. Thanks for stopping by M2M! 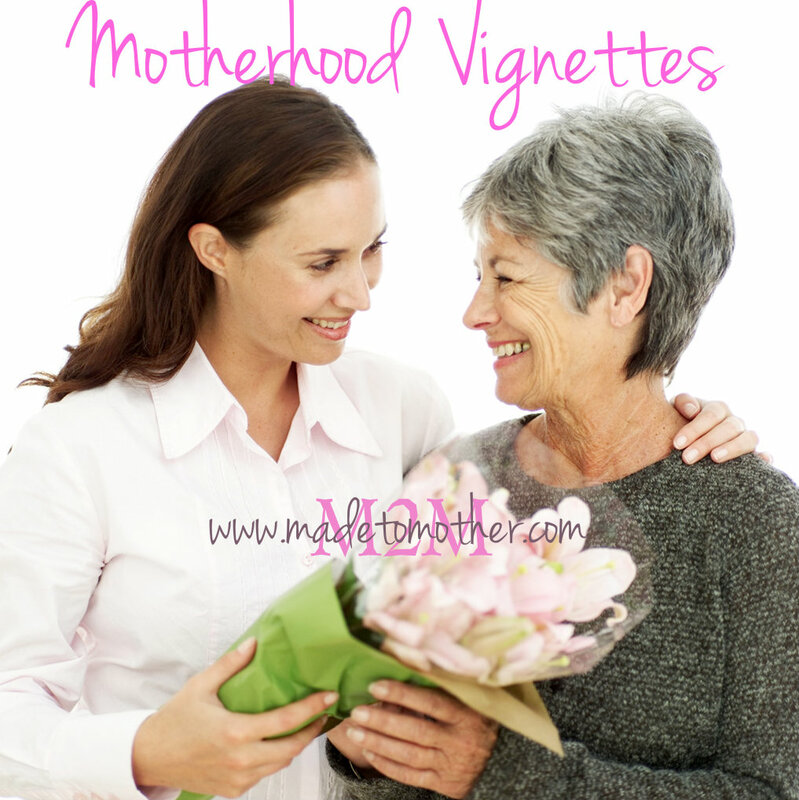 I hope you come back for more Motherhood Vignettes this week and REAL mom stories again next week! Amen! Thanks for stopping by M2M, I hope you’ll come back this week for more Tribute Vignettes and next week when I feature more real stories by REAL moms! I love your idea for a Mother’s Day trip! What sweet times! Although there are nowhere near 13 of us, my “sisterhood” consists of two other local moms who meet me for drinks once a month. We are still in the beginning stages of our friendship (we’ve been doing this for about a year), but I look forward to each get-together so much. You are right. It is “necessary” in all the most important ways. Also, I love your focus on the women in our lives who are not our biological mothers, but who DO have a mothering impact on us. I think of my midwife and the girl from church who comes to help me clean. I think of my daughter’s music teacher and my husband’s aunt who always crochets gifts for my kids. Thank you for this. It has expanded my view of motherhood. And that is a very beautiful thing. Thanks for linking with Unforced Rhythms! That is fantastic! Good for you for fostering those important mama friend relationships! Thank you for stopping by M2M, I hope you’ll come back for more soon. And happy Mother’s Day!